How Did The Dodge Challenger Outsell The Mighty Mustang In June? Looks like Dodge's exhaustive marketing campaign for the Demon is paying off. For years, the Dodge Challenger has lagged behind the Ford Mustang and Chevrolet Camaro in the muscle car sales race. Typically, the Mustang leads the pack, but the Camaro has overtaken it in recent months. 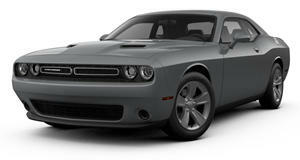 For the first time in at least seven years, the Dodge Challenger comfortably outsold its rivals last month. According to Torque News, Dodge sold 6,605 Challengers in June – that’s 1,000 more than it managed to sell the same month last year. Comparatively, Ford sold 6,186 Mustangs last month, while 4,691 Chevrolet Camaros were shipped in June. But what caused this sudden sales surge? After all, the Challenger hasn’t received any major revisions since 2008, yet both the Mustang and Camaro have had major updates in the last couple of years. We’d wager that the launch of the Dodge Demon is a significant factor here. In the last few months, it’s been hard to avoid the hype surrounding the extraordinary 840-hp muscle car. Its launch was highly publicized for being the fastest production car in the world, and it also made an appearance in Fate of the Furious which smashed box office records. All that publicity will have undoubtedly sparked new interest in the Challenger, further helped by some unsubtle commercials fronted by Vin Diesel. Of course, it’s a different story when you look at the year-to-date figures. The Mustang is still outselling its rivals by a considerable margin, with 44,608 units sold in the first half of the year. In second place is the Camaro with 36,567 units sold, followed closely by the Challenger where 35,910 examples have been sold. Still, at least Dodge’s exhaustive marketing campaign for the Demon seems to be paying off which has helped the nine year old Challenger gain significant traction.